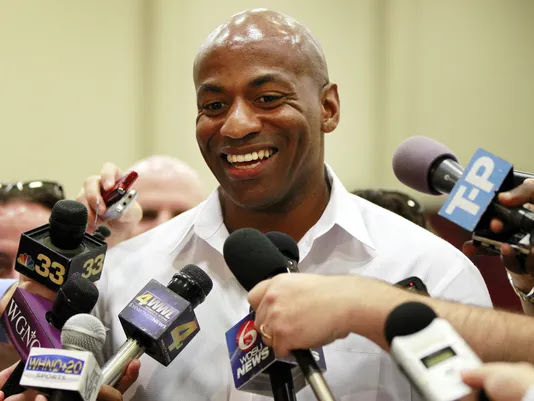 The idea that Demps and the Pelicans have been leading Magic Johnson and the Lakers brass astray with these Davis talks all along puts a massive smile on my face, but taking the whole thing in perspective it makes a lot more sense than one might think. Obviously, this whole mess began when Davis publicly announced that he wanted out of New Orleans just two weeks ago. Demps responded by announcing that he wouldn't be taking calls on Davis before the trade deadline on February 7th (today). That's when all hell broke loose. Suddenly, rumors were swirling that Davis wanted to go to LA and that he won't sign an extension with the Celtics if traded there in the offseason. Then our guy Kyrie Irving gets lumped into the rumor mill that he actually isn't committed to signing an extension with the Celtics and he might want to re-team with LeBron in LA. Where do you suppose all of this "information" was coming from? Of course it was coming from Davis' agent, who just happens to be Lebron's as well, Rich Paul and the Lakers. If you're Demps, you're waiting for the summer to make a deal because you can get the most action for your superstar player there. Whether the Celtics are willing to post the best deal for Davis or not, they're certainly interested and it makes little sense to not have them in on the bidding. Anyone trying to hurt a potential deal with the team that has the best assets to offer you is most definitely not looking out for your best interests.